Love him or hate him, the world’s most notorious street artist always manages to keep his brand alive with timely pieces. 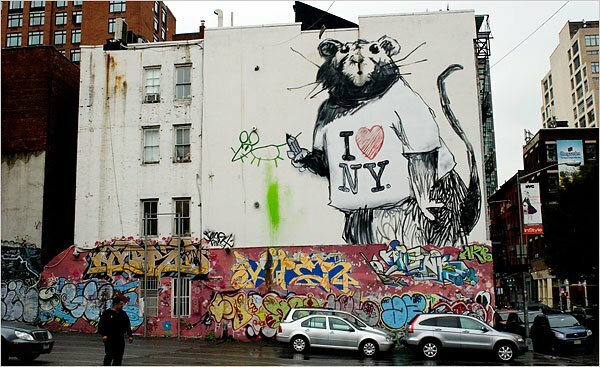 Banksy is apparently back in New York City this week with his trademark Rat. 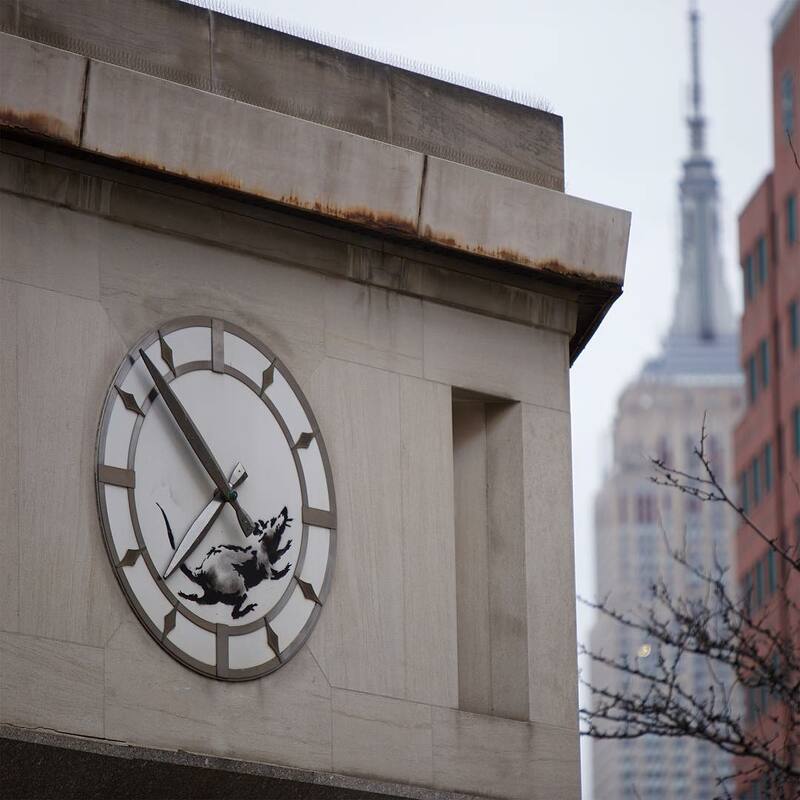 The famous rodent is now adorning a clock face on a former bank building at 14th street and 6th avenue in Manhattan. But catch it while you can because the entire structure is due for demolition any day now. This entry was posted in Art, USA and tagged Banksy, Manhattan, New York City, NYC, Street Art. Bookmark the permalink.